Did a fatal security lapse contribute to the tragic loss of this young man? A family is searching for answers following the death of 19-year-old aspiring musician, Donte Miller, only days before his 20th birthday. According to WSBTV News, gunfire erupted at the “Lakeside Reserve Apartments along Lakemont Drive” last week. Tragically, Mr. Miller succumbed to fatal injuries at the scene. Family members apparently told media, the artist, known as “Young Teezy,” was about to sign a record deal. The complex was apparently the subject of a prior shooting investigation in September, 2014, per 11 Alive News reports. Were any security measures, such as gated-entry, bright lighting, surveillance cameras, and security patrols, implemented by the complex owner or management following media reports of prior gun violence on property? By law, property owners in Georgia are required to protect all those legally on the premises from any foreseeable harm. 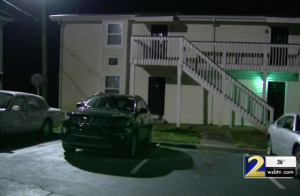 Should the facts of this matter reveal that the apartment complex owner or management failed to provide adequate security, the family of Donte Miller may seek justice and elect to pursue legal claims for his wrongful death.